In 2010, the entire Strange Music roster set out for one of the biggest tours to ever hit Strangeland – The Strange Days Tour. Celebrating a decade of excellence, the tour gave every Strange Music artist an opportunity to bring their music to the masses. For Prozak, it meant dropping live performances of hits like “Keep Grindin”, “Go To Hell”, and “Last Breath” to crowds all over the country. Recently, Prozak uploaded exclusive footage from the tour that includes performances in Chicago, Tulsa, St. Louis, and Baltimore. Between inciting giant mosh pits and commanding thousands of Strange Music fans to raise their hands, Prozak showed just how explosive his live shows really are. Click here to watch all of the exclusive footage. 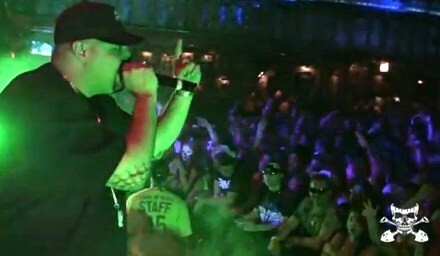 Did you see Prozak live on the Strange Days Tour? Let us know in the comments below!